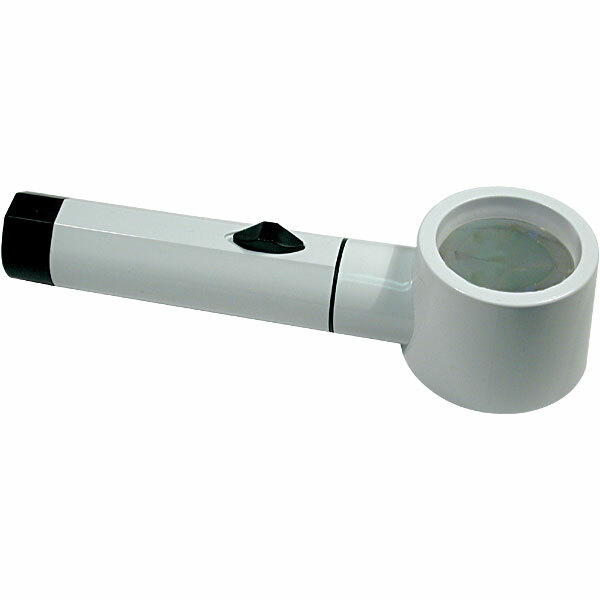 The lens of this handy magnifier measures 1.4 inches in diameter. Requires 2 C Batteries (not included). Weight 6.3 oz. with batteries.